Last winter, health officials began to worry seriously about an outbreak of the Zika-related illness in the United States. I wondered, how many people could be affected as habitats for aedes aegypti — the mosquito thought to carry the virus — as temperatures warmed? 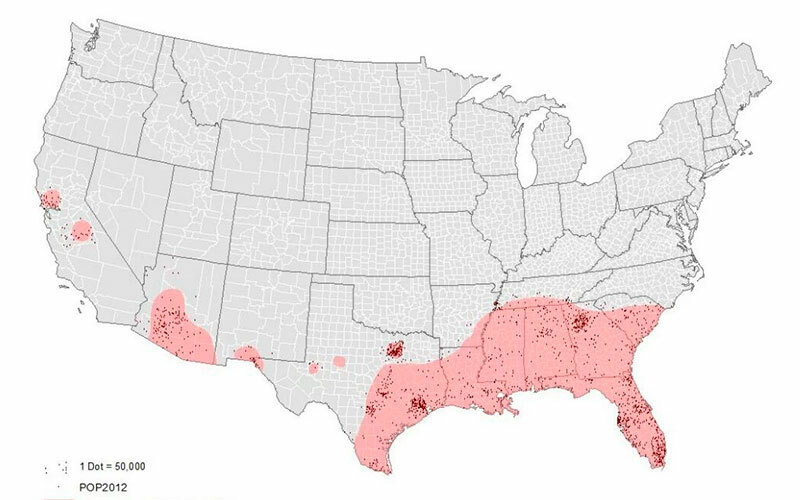 The mosquitoes’ habitat may seem small geographically compared the country as a whole, but it does includes about one in five American counties. They are home to roughly 80 million people, according to a Daily Viz analysis of data released by the mapping company Esri and the U.S. Census Bureau.